Gesaffelstein Shares New Song "Reset"
Five years on from making his solo debut, French producer Gesaffelstein (a.k.a. Mike Lévy) has shared a new track. 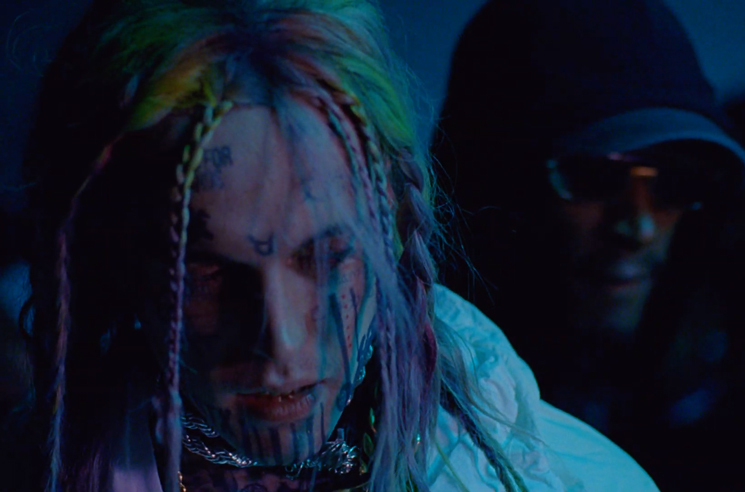 Titled "Reset," the song arrives alongside a video that prominently features a character that looks an awful lot like wildly controversial rainbow-haired rapper Tekashi 6ix9ine. You can watch it below. "Reset" also marks the producer's first release for his new label home Columbia Records. The track arrives in a year that also saw Lévy collaborate with the Weeknd on the My Dear Melancholy, release. In 2013, Gesaffelstein delivered solo LP Aleph and contributed to Kanye West's Yeezus.